While the memories are still fresh in our minds we thought we would share a bit more of our recent return to England. In our previous post we shared photos and tidbits of our hometown, Worcester. In spite of what Thomas Wolff wrote, we discovered you really can return home. For more details check out the post here. 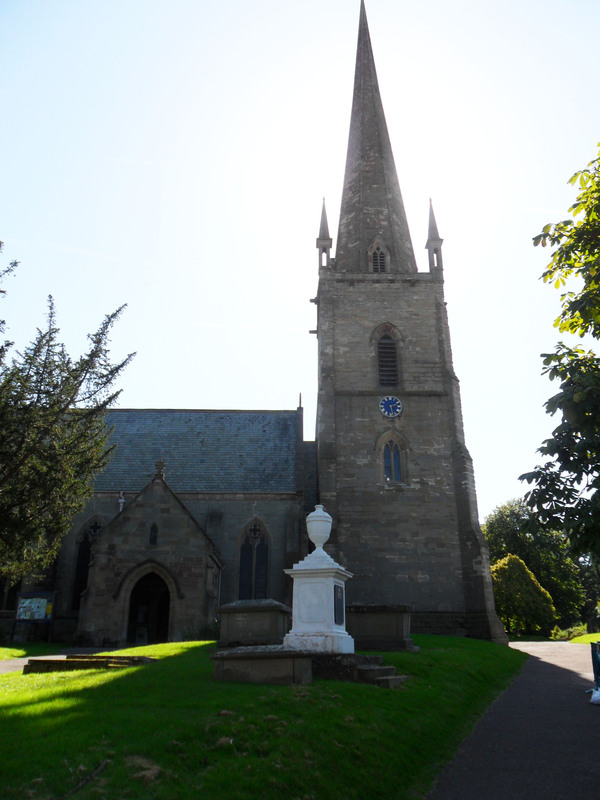 After an enjoyable walk down memory lane we moved on to the neighboring county of Hereford where Martin’s brother Bob and his wife live in Pembridge with their two dogs. 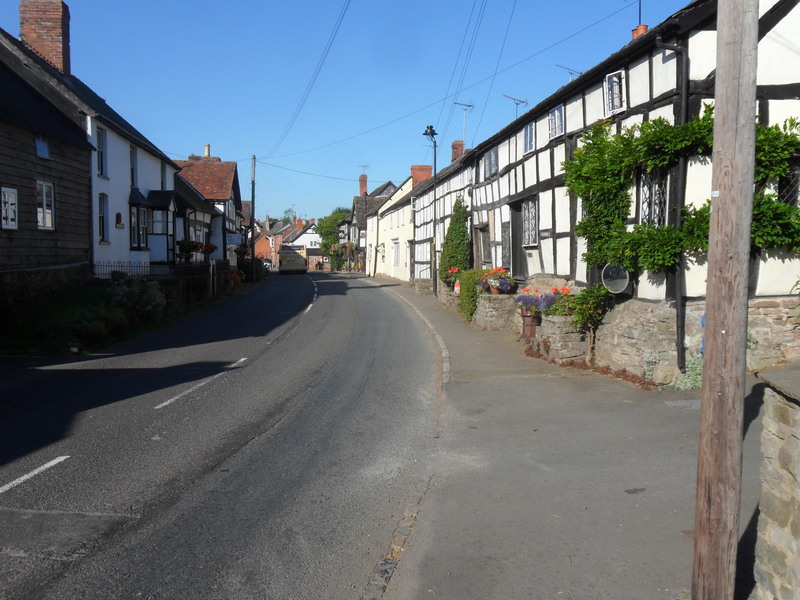 Pembridge is a very quaint “black and white” village so described for the timber framed buildings that date back over 800 hundred years. It sits on the River Arrow, a tranquil river that is much smaller than the Severn that runs through Worcester. 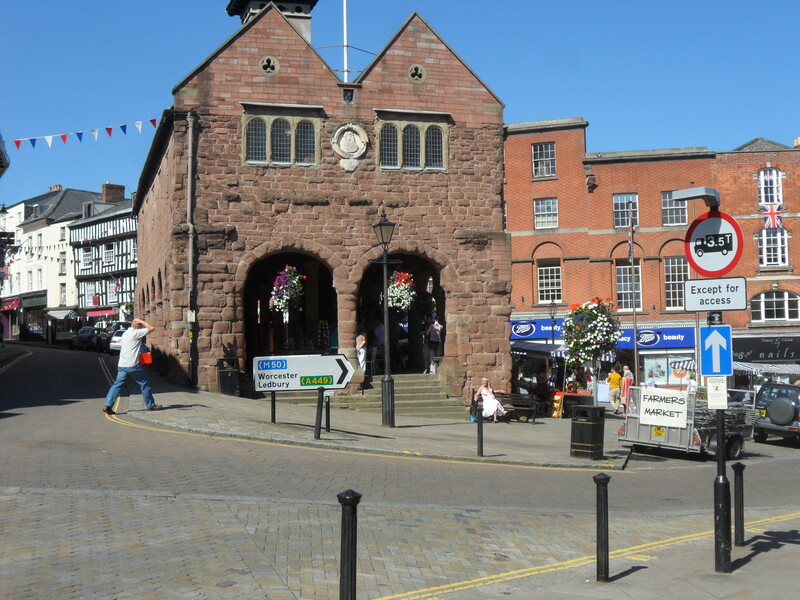 Bob suggested a day trip to the nearby market town of Ross-On-Wye. This pretty little town continues to hold 2 weekly markets at the Market House which is a plain sandstone building dating back to 1650. Today’s market features less livestock and wool and more locally grown fruits and vegetables along with wonderful artisan cheeses. The town also has it’s own fair share of Georgian architecture and a lovely old church, St. Mary’s that is about 700 years old. Alas, one of our best day trips was the day Martin forgot to take either his ipad or camera. We attended the Kington Show where we saw pedigreed Hereford cattle, Ryeland Sheep, Suffolk Sheep and variety of endangered old breed cattle and sheep. There is strong support and respect for these older breeds that are part of the local heritage. The show also featured a fun horse and buggy race known as a scuttling race in which 2 small ponies pull a buggy with 2 passengers (one to drive the buggy and one there just for balance, a bit like sailing). You can visit their site to learn more about these unusual races. is there any other site which gives these kinds of things in quality? I do agree with all the concepts you’ve presented for your post.